Lake Josephine is a gorgeous lake that lies just a mile away from the busy Many Glacier Valley area in Glacier National Park. 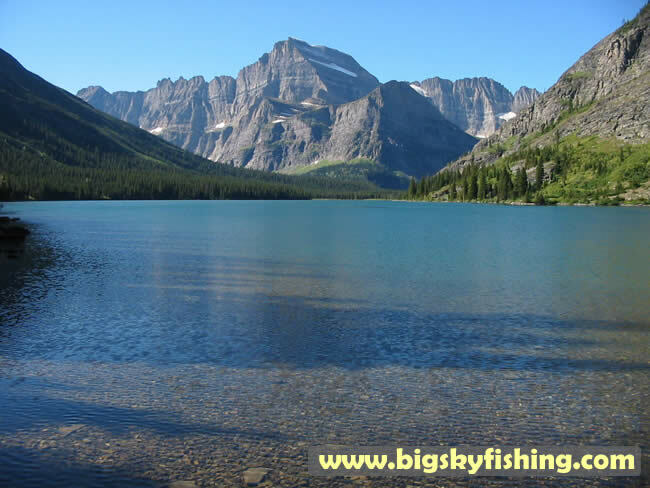 The lake is clear, the views are fabulous, and if you are hiking the Grinnell Glacier Trail, you also get to go right by it. Mt. Gould is the tall mountain in the background.